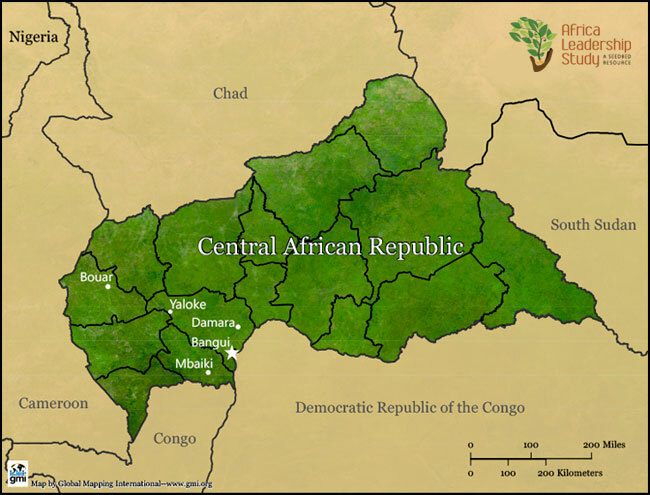 The Central African Republic: This Francophone country gained its independence from France in 1960. At 622,984 square kilometers, the CAR is slightly smaller than France. Its current population of 4.9 million has a life expectancy of 53, an adult literacy rate of 57%, and is 40% urban. While citizens speak over 60 languages (http://www.ethnologue.com/country/CF), French and Sango are the lingua franca for most. In the CAR, 73% identify as Christian (31% are Roman Catholic) and 14% Muslim. The ALS carried out survey research in each of the towns and cities shown on this map.